AJ Gaich sets school stolen bases record! AJ Gaich surpassed Frank DeSico's previous mark of 46 stolen bases to become the Saint Ignatius career record holder! More to come on AJ's accomplishment. Wildcats seeking a new a head basketball coach The Saint Ignatius Athletic Department is searching for a head coach to lead the Wildcats' basketball program. Click here for more information and how to apply. Saint Ignatius High School is a Catholic, Jesuit college preparatory school in Cleveland, Ohio. 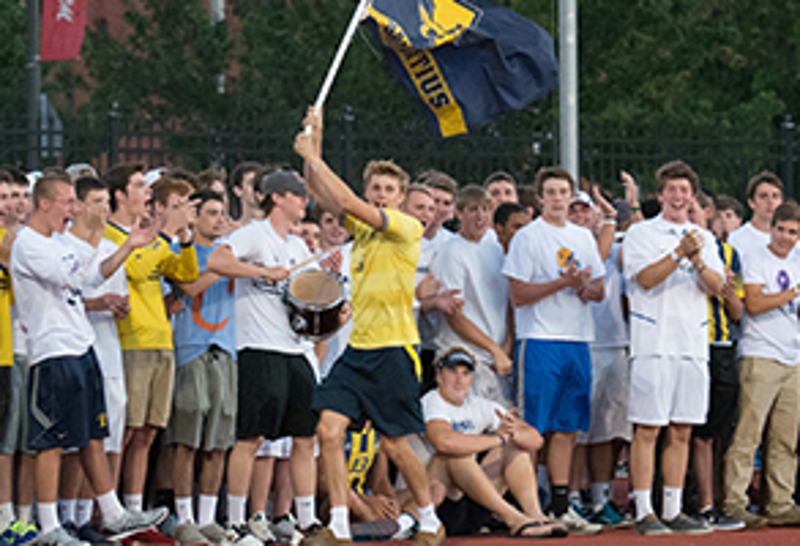 Opened in 1886, Saint Ignatius has a long, rich athletic tradition with a history of developing young student-athletes into successful men of faith and character. Saint Ignatius currently has 16 varsity sports. Of the 1,500 students at Saint Ignatius, over 1,000 participate in athletics. The Wildcats have won 41 State Championships and 7 National Titles since 1988, and many city and league titles before then.